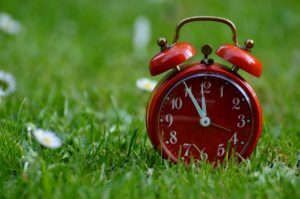 Time blocking (or time boxing) is an essential productivity technique that involves setting an appointment (with yourself) to do a single, high-cognitive demand task or a batch of similar, low-cognitive demand tasks in a specific time block. It allows you to prioritize important, deadline-driven or time-sensitive matters, make progress on growth-based projects, and communicate with clients and prospects without giving them 24/7 access to you. Ultimately, time blocking leads to strategic deadlines and productive habits that help you get important tasks done well and on time. Because a time block is a pre-planned, distraction-free period for tackling your most important tasks (MITs) or one big thing, it gives you the opportunity to practice the skill of concentrating on cognitively demanding, high-value work without giving up easily. Instead of jumping from task to task or giving in to urges to check social media or surf the web, you learn to sit with discomfort and stay committed to the task at hand. Focus, however, requires willpower – the mental energy to resist short-term temptations to make long-term gains. And willpower is a limited resource. With time blocking, you build daily habits that move you forward and get you unstuck, without relying too much on self-control. Time blocks allow you to hone in your efforts on a single big task that must be done, or a batch of low-value tasks that will accumulate if you ignore them too long. Decision fatigue is reduced when you know exactly what task you need to tackle, how long you should spend on it, and when to break from it. By routinizing and batching low-level tasks, you reserve your energy, attention span and concentration for complicated tasks that require laser-like focus. Time blocking gets you in the zone and increases flow – the mental state in which you are absorbed in and fully involved in the task at hand – by reducing distractions and minimizing interruptions. When you invest your cognitive abilities on a complex task ( instead of scatter your attention on busy work), you make fewer mistakes, notice significant details, and produce more creative, higher-level work. Time blocking encourages you to postpone mindless activities and time wasters so you can attend to your more important and/or urgent work. Rather than overcommitting or succumbing to endless obligations, you set clear boundaries and realistic expectations with others. If you habitually reply to emails and text messages within 5 minutes of when you get them, the sender will come to expect the same or similar response time for all correspondence. If you answer every telephone call regardless of what time they come in and what you are doing, you teach the caller that their problem always matters more than your own. If you keep an open office so anyone can walk into your office at any time, observers will conclude it’s fine to interrupt you regardless of what’s on your own agenda. Being highly responsive makes you procrastinate on taking action on your own, highest priorities. By having time blocks for when you meet with clients and colleagues, take telephone calls, and respond to emails, you set appropriate boundaries that allow reasonable access to you without compromising your most important work. The human brain is a sequential processor: It cannot pay attention to more than one thing at a time. Multitasking is not possible when (1) at least one of the tasks requires focus or effort to complete, and (2) the tasks involve similar types of brain processing. Constantly shifting your attention makes you feel busy, but actually makes you less productive. When you stop what you’re doing to attend to an interruption, distraction or another completely different task, you are left with a cognitive residue that takes about 15 to 25 minutes to clear up so you can refocus on the initial task. Multitasking (or switch tasking) is very different from taking deliberate breaks for necessary rest or taking time to let ideas percolate and incubate. Background tasking is fine when you couple a primary task with a low-concentration or mindless activity. You can take a walk with a colleague while you discuss a work issue during your lunch break. You can listen to classical music while you organize your receipts for tax filing. You can catch up on the latest episode of your favorite podcast while you do the dishes. But when it comes to your high-concentration, most important tasks, the best way to complete them in less time and with greater ease is to single-task. Focusing on one task at a time typically leads to better results. In certain situations, delaying a task purposefully and strategically can work to your benefit. Sometimes you do need to reflect on things, allow ideas to percolate, gather and synthesize information, clarify your intentions, and determine your ultimate goal before you take action. This is known as strategic procrastination. In other cases, delaying action on an important task while you work on other tasks to build momentum. This is called structured procrastination. The key to productivity is to make more commitments – but to be methodical about it. At the top of your to-do list put a couple of daunting, if not impossible tasks that are vaguely important sounding (but really aren’t) and seem to have deadlines (but really don’t). Then further down the list, include some doable tasks that really matter. With this appropriate task structure, the procrastinator becomes a useful citizen. Indeed, the procrastinator can even acquire, as I have, a reputation for getting a lot done. Perry suggest that instead of working on your most important task first, you start a different task on your list that needs attention. By making other tasks just as important, you can make it easier to tackle the most significant. Structural procrastination is supposed to motivate you to do difficult, important and time-sensitive tasks, as long as they are a way of not doing something more important. But there are side effects. Strategic procrastination works only if you start the project early and give yourself time to develop and test ideas. It should not be used to complicate simple things that can be done quickly and doesn’t require a lot of thought. Preparation, which includes building expertise on the topic and mindfully reflecting on ideas, is key. Structural procrastination works only if you eventually get around to doing your most important task. It should not be used to permanently avoid your main priority by un(consciously) engaging in low-leverage, shallow work instead of high-value, deep work. They are ineffective as overall productivity strategies. Relying on strategic procrastination or structural procrastination benefits you in only some situations. You are not always creative under pressure, especially when all or or most of your work occurs when the deadline looms. You are likely to end up with mediocre results, high stress, and undeveloped solutions if you start the work too late and don’t have an adequate incubation period to develop ideas and insights. Time blocking prevents you from delaying or postponing tasks that should not be put off to a later time. Simply put, you will use up all the time to complete a task when given a certain amount of time to do it. Think about a lawyer billing by the hour with no deadlines. Compared to a lawyer who charges a fixed fee for a specific matter, a lawyer who bills by the hour will likely do more work than is necessary to fill or exceed the minimum billable quota, as long as the client is willing to pay for it and remain a client. By setting specific time blocks to tackle and complete a task, you learn to reduce perfectionism, ignore trivial details, simplify the steps involved, and work more productively toward a desired outcome. In terms of improving diligence (Rule 1.3), developing competence (Rule 1.1) and communicating effectively (Rule 1.4), time blocking works on multiple levels. It takes practice to use it consistently, but once you do, you will benefit from increased focus, higher-quality work, and more deliberate progress on your most important tasks. To learn more, read the related article, Deadlines & Daily Habits: How Time Blocking Works. This article provides general information only. Do not consider it as legal advice for any individual case or situation. 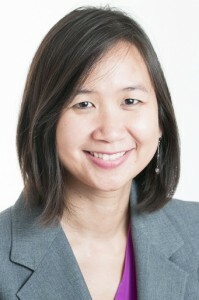 The author, Dyan Williams, is admitted to the Minnesota state bar and focuses on the Minnesota Rules of Professional Conduct, which are subject to change. Check your individual state rules of professional conduct, regulations, ethics opinions and case precedents, instead of relying on this article for specific guidance. Exercising reasonable diligence, providing competent representation, and clearly and timely communicating with clients are critical professional responsibilities. When these ethical duties are neglected, lawyers are vulnerable to missing deadlines, producing sub-par work product, getting angry telephone calls from frustrated clients, and being reported to the bar disciplinary agency. How do lawyers combine the essential skills of diligence, competence and communication to get important tasks done well and on time? How do they resist distractions, minimize interruptions, clarify their focus areas, and make purposeful progress on their highest priorities? One essential productivity technique is time blocking. Also known as time boxing, this involves setting an appointment (with yourself) to do a single, high-cognitive demand task or a batch of similar, low-cognitive demand tasks in a specific time block. The feeling of overwhelm comes with having too many goals to reach and carrying around too many ideas in your head. By recording your to-dos, intentions, and plans in a notebook, on a sheet of paper, or in an electronic app like Evernote, you can capture all the things that occupy your thoughts. Pick a certain day of the week (e.g. Sunday morning or Friday afternoon) to list out the stuff – small tasks, big projects, short-term goals, and long-term projects – that take up mental space. Strive to get everything out in one session, although you may add items to the list sporadically, as they pop into your mind. The brain dump is the first step to figuring out what to prioritize and get done within a certain time frame, as well as what to delegate, defer or drop altogether. The process will also help you organize your projects and break them down into small, manageable steps (next actions) toward the desired outcome. If your list includes “write legal brief for X matter,” jot down the individual tasks involved in completing it. These include reviewing the file, narrowing down the legal issues, creating an outline, doing a first draft, and revising and editing to produce a final draft. By capturing the steps it will take for you to reach an objective effectively, you can start to organize your projects, create a concrete action plan, and begin to make progress through time blocking. The brain dump leaves you with random priorities. You then need to decide which are your must-dos and, on a daily basis, focus on the three most important tasks (MITs) or the one big thing that will make the most noticeable difference. Narrowing down your top priorities gives you room to deal with emergencies, delays, interruptions, and distractions outside your control. The Priority Matrix – also known as Eisenhower’s Urgent-Important Principle – is a useful tool for prioritizing significant, time-sensitive projects, building necessary knowledge and skills, and letting go of the distractions. It distinguishes between importance and urgency. Important tasks contribute to long-term accomplishment. Urgent tasks require immediate attention. The system includes four different quadrants that enable you to prioritize tasks based on their importance and urgency. It reminds you that not every task is created equal and you may decide whether to tackle it now or defer it. QUADRANT 1: Important + Urgent. After deciding on your top priorities (big rocks), your growth-based projects (pebbles) and recurring tasks that may become emergencies if you neglect them too long (sand), you next set a focused block of time to deal with them. Schedule the time blocks on your calendar at the start of your day or at the end of your day. Be sure to match the task with your energy level, personal circumstances, and external environment. For example, do your deep work when your mental clarity and attention span are at its peak, you have the fewest interruptions, and you have access to a quiet workspace (or can at least choose your background noise). Shallow work can be done when your energy is low (e.g. afternoon or end of day), you are more distraction-prone, and your workspace is noisier and more chaotic. Estimate how long a task will take and strive to carve out the ideal amount of time to spend on a particular activity. For complicated tasks that require deep thinking and high concentration, you could start with an hour and work your way up to two or three hours as you build your focus muscle. For shallow tasks, limit the time you spend on them to 25 minutes. The Pomodoro Technique is one way to develop the skill to concentrate on one task at a time. First, you identify the task to do. Second, you set a timer (typically 25 minutes). Third, you work on the task only until the timer goes off. After the timer rings, you check off your task. And if you give in to interruptions and distractions (e.g. checking emails, getting a snack), you reset the timer. If you have fewer than four check marks, take a short break (5 minutes), then go to step 2. If you have at least four check marks, take a longer break (15–30 minutes), reset your checkmark count to zero, and do the steps all over again. Studies show our ultradian rhythm allows our brain to focus for 90 to 120 minutes before it needs a break. So take purposeful, necessary breaks that involve stretching, hydrating, and calming your mind. Engage in rest and reflection that truly allow you to decompress and reset. Go outside for a walk, meditate, read a funny story or listen to instrumental music. If you have to eat a live frog at all, it doesn’t pay to sit and look at it very long. If you have two important tasks, start with the more difficult one. And take immediate or prompt action rather than mull over it for too long. Tackle your major task – the one that’s high-value but you’ve been postponing – first thing, when your willpower is at its peak. Be intentional about when you check your emails, watch online videos, scroll through web pages, and engage with social media. Make it as hard as possible to reach for your digital devices at any time of the day. Avoid them first thing after you wake up (when you ought to be gearing for your most significant projects), and right before bedtime (when you ought to be winding down and clearing your mind). You don’t have to respond to emails, telephone calls and text messages as soon as they come in or within second or minutes. By end of day or next day is usually more than enough in most cases. Go online during chunks of predetermined time blocks on your own schedule. That way, you stay responsive and connected without being bombarded by digital distractions throughout the day. While you’re engaged in deep work, stay away from social media, online news feeds and other digital distractions that clutter your mind. If you feel the urge to go online, remind yourself that your time block is for real work or purposeful breaks. To reduce digital temptations altogether, remove automatic alerts, like the pop-up messages and sound alerts you get each time a text, or email comes in. Disable push notifications from social media. Try online filters and website blockers like FocusMe (paid service), Freedom (paid service) or StayFocused (free service for Google Chrome users). Another way to tackle your MITs or one big thing is to theme your days. 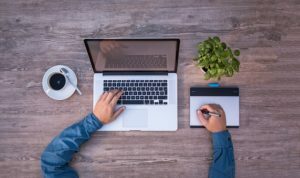 Set aside a day to concentrate on a high-cognitive demand task, such as writing an article, studying and analyzing a complex issue, following up and communicating with important clients, and making progress on a particular matter. Block out time for your miscellaneous, low-cognitive demand tasks that require attention. Batch similar activities like replying to random inquiries from prospects and responding to requests for information or updates from clients. Do an honest assessment of your daily actions to determine whether you’re addressing your real priorities or just getting distracted with busy work. Keep an activities log and record when you did each task and how much time you spent on it. Are you investing more time than necessary on low-cognitive, shallow work that contributes little to your success? Does the task appropriately align with your energy and focus levels? Have you been doing your MITs or one big task first thing or do you procrastinate on what you really need to be doing? Are you overscheduling and failing to build margins or leave white space in your calendar? Tracking your time raises awareness of how much is spent on the meaningful versus the meaningless. It gives you a visual cue of important areas that need your attention. It motivates you to drop time wasters and energy drainers that steer you away from your preferred path. You learn to rework your plan and modify your scheduling to keep yourself accountable, stay on task, and make progress on the most important matters. By taking the 5 steps to time blocking, you get to work on your important, high-value tasks, free of distractions and interruptions, without neglecting the routine, low-value tasks. In effect, you set strategic deadlines and cultivate productive habits that enable you to get the right things done effectively and efficiently. Time blocking helps you develop long bouts of focus on complex problems and increases your flow state. It encourages you to batch small activities into restricted time blocks, instead of having them eat up your precious day. Use time blocking to make steady progress and avoid procrastination on significant, time-sensitive matters (Rule 1.3, diligence); build knowledge and skills and prepare adequately for representation (Rule 1.1., competence); and communicate clearly and deliberately with your clients (Rule 1.4, communication). To learn more, read the related article, Deadlines & Daily Habits: Why Time Blocking Works.